When your alarm goes off for school in the morning, we bet the only thing you want to do is hit that snooze button and sleep an extra five minutes. But the mornings you sleep in or run late, you probably rush into school feeling and looking not your best. We get the struggle, and that's why we've rounded up the best and easiest 3-minute hairstyles so you can have your sleep and look polished, too. Can you braid? Do you own a straightener? If so, you can style these easy beach waves. Sure, you may be in class, but you'll look like you stepped straight off the beach. Finish with some hairspray or a bobby pin for extra style, and head out the door! We've all thrown our hair up in a messy bun one too many times. Now, it's time to mix it up. This rose bun is simple, cute and keeps your hair out of your face all day long so you can focus on what really matters: keeping up in class. Just grab a hair tie, some bobby pins and twist it up! 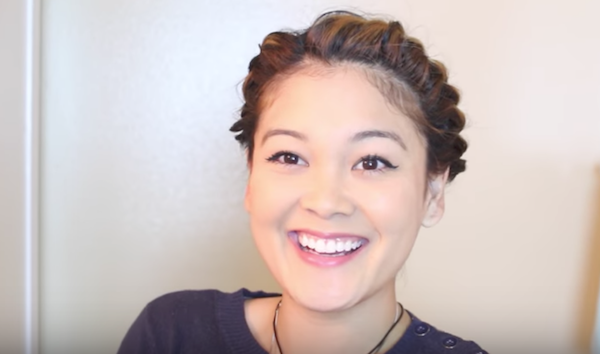 This hairstyle looks almost too good to be true. But it's quick, easy, heatless and good for both short and long hair, trust! All you need is a hair tie. 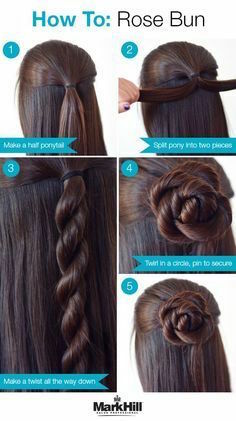 Grab some strands of hair in the front and pull them back into a half-up pony. Then, grab a strand from the top and bottom of each side, and tuck it into your loops. If you've got some extra time, combine this look with the beachy waves for an extra textured style. If you want your hair out of your face but want something a little more stylish than a ponytail, this look is for you. Less basic than the standard, this look involves a low pony and two strands of hair that criss-cross in the back to give you an easy-yet-sophisticated look. All your friends will want to know your secret! For a more polished vibe, go with this no-slip bun. It's a no-nonsense look that will keep your hair up all day. Start with two pigtails close together, then simply twist them around each other and secure with pins! Criss-cross some pins for a look that stays all day. If you're more of a visual learner or need more instruction, don't worry! We've got a round-up of easy, quick video tutorials for you. This video has five one minute (yes, only one minute!) hairstyles that you can rock every day of the week. These styles should work on long or short hair depending on the look you choose. Remember, practice makes perfect. Don't be afraid to try and try again. With each style only taking one minute, you'll be out the door with time to spare. 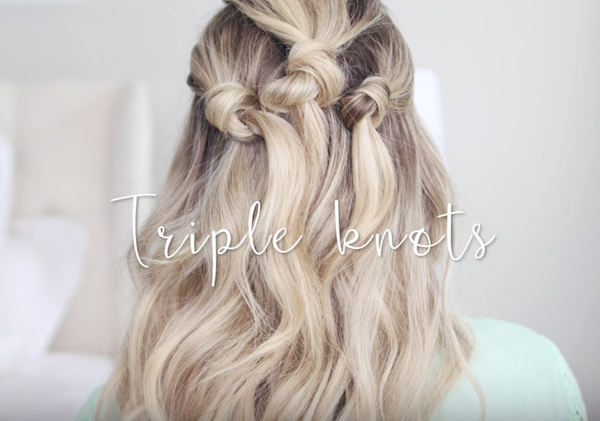 All the looks in this video are perfect for girls who want to avoid heat-styling tools, or if you just want the option to enhance your go-to hairstyles with heat on days when you have more time. This video has 10 great easy and cute looks for short hair. Just watch and learn! 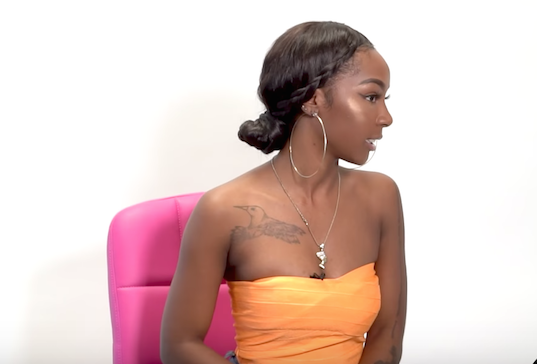 Model Ashantai will show you how to rock several easy looks in this video. All you'll need is a straightener, a brush, a few pins and a comb, then you'll be headed out the door looking like you spent an hour! 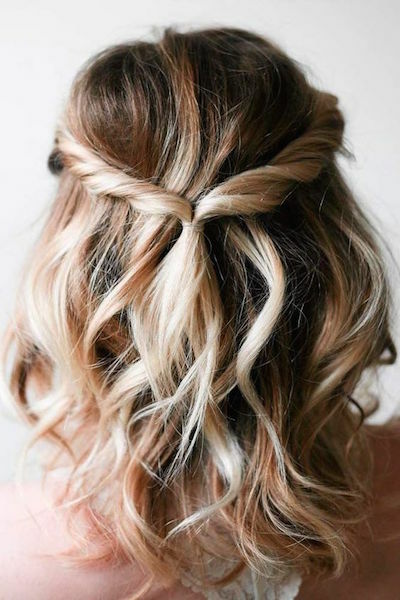 Which of these hairstyles will you try? Let us know your favorite in the comments below!